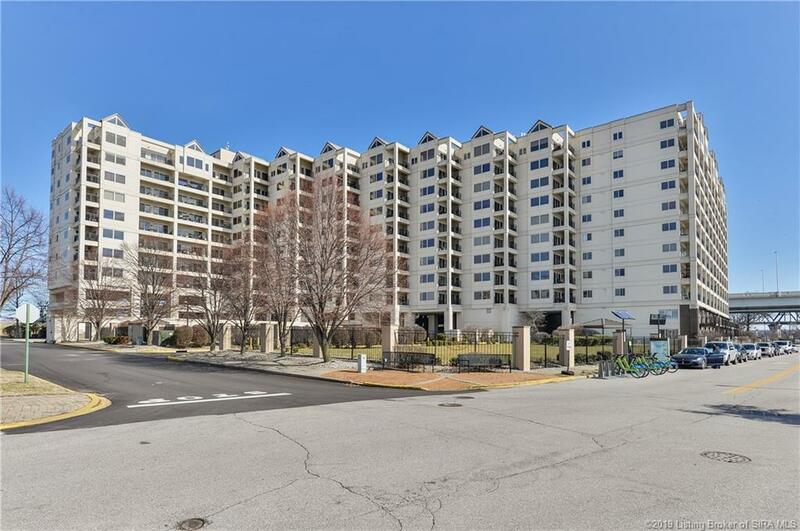 Offering unparalleled views of the Louisville skyline, this penthouse condo is located in a grand luxury high rise in Jeffersonville, affectionately named the "sunny side of Louisville. 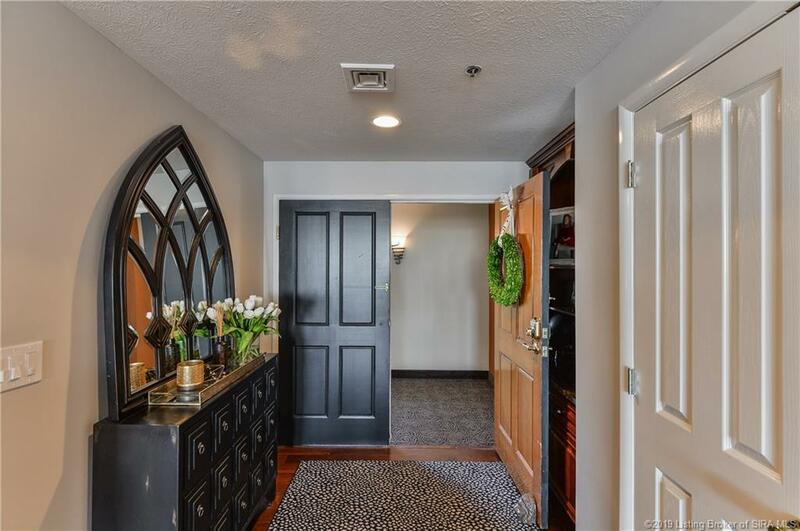 Located on the esteemed 11th floor, grand double doors provide an inviting entry into this luxury condo. 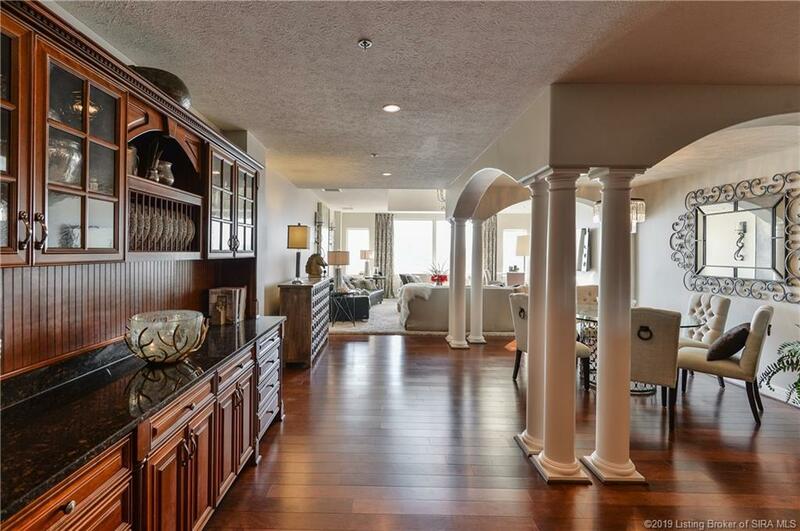 Rows of columns add a sophisticated elegance to the expertly crafted open floor plan with oversize windows that capture front row views of the breathtaking Ohio River. 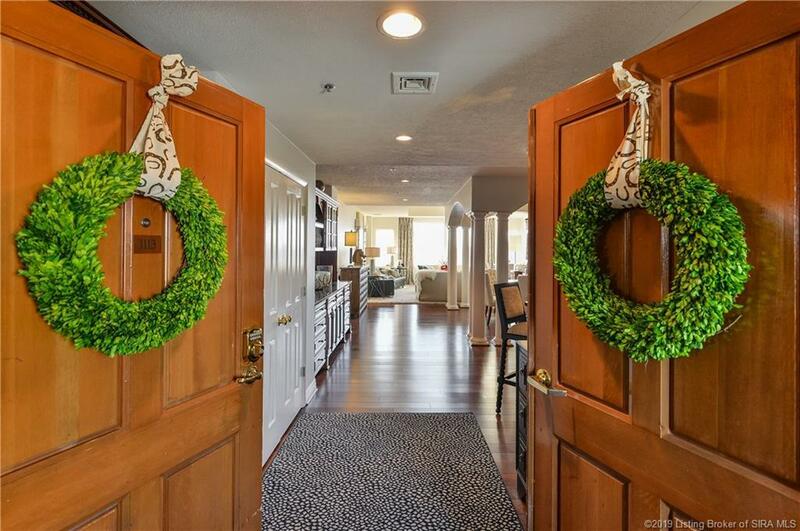 This two bedroom, two full bathroom condo features 1,988 square feet of gracious living space. The kitchen features stainless steel appliances, ample counter space and is outfitted with custom cabinetry and granite counter tops. Each bedroom features floor to ceiling windows, showcasing the beauty of the river and each walks out to the private balcony. With ample room for entertaining, the balcony delivers both impressive views and a space to retreat from the everyday hustle and bustle of the city. The master bathroom features a jetted soaking tub, a walk-in shower and double sink vanity. Just beyond the master bathroom is a generous walk-in closet, expertly designed to house all of your finest apparel and luxury goods. The Harbours offers gated entries, a concierge staff, a 24-hour fitness center, indoor and outdoor pools, a barbecue area, as well as patios and covered canopy areas for shade. The monthly HOA covers amenities such as cable, high speed internet, HBO, Showtime, water, sewer, trash and master insurance. Listing courtesy of Jason Farabee at Lenihan Sotheby's International Realty.